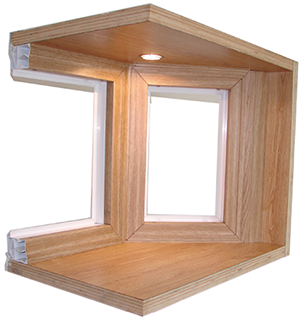 Our vinyl projection window frame systems are designed to the specifications of our customers. These frames are typically used by window manufacturers that have been building their own bay and bow windows in house. The wood portion of these specialty window frames can be difficult to cut and assemble in a manufacturing plant set up and geared to produce vinyl replacement windows, especially if the wood components are being cut utilizing table saws. Increase Production Capabilities – We offer two-day to two-week product capabilities, depending on the model. Increase valuable plant production area – Eliminate your hardwood plywood inventory & wood cutting equipment. Expand your Specialty Window Options & Accessories – We offer the largest selection of projection window options & accessories in the industry. Our engineering team will design all of our options to be available with your present system! Increase your sales and marketing ability without having to increase your inventory! 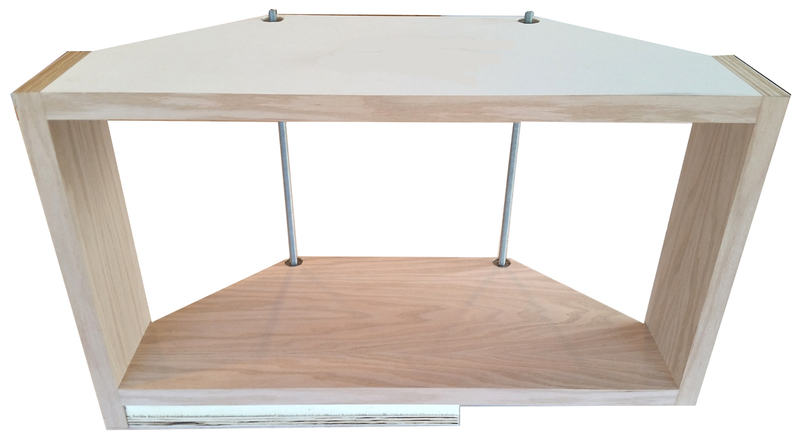 Vinyl Bay Frame System designed to accommodate the vinyl accessory profiles used to clad the exterior of the wooden frame components and the actual replacement window inserts. The vinyl cladding components include the head, seat and side jamb components, interior and exterior vertical mullions and the interior side jamb areas. Our vinyl projection window frames are engineered specifically to the specification of each of the window manufacturing partners. 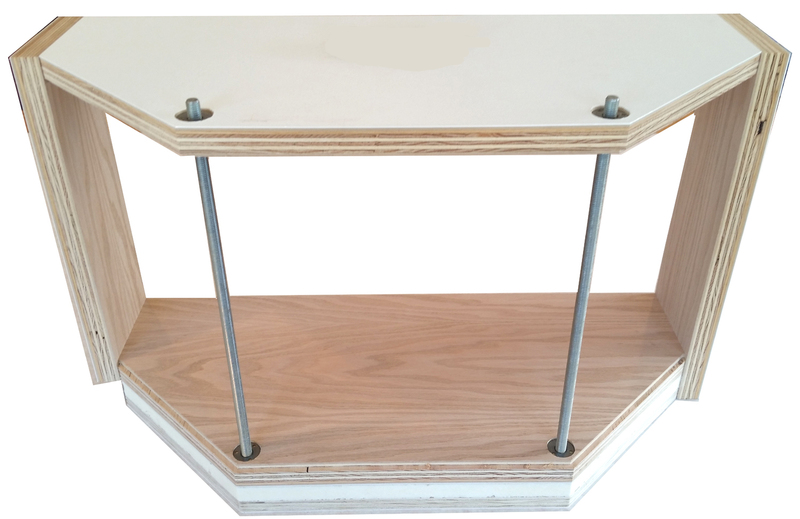 Frame shown includes threaded steel rods used to add strength and support to the vertical mullions. Cables are also available that would run through the mullion and out the bottom of the seat. 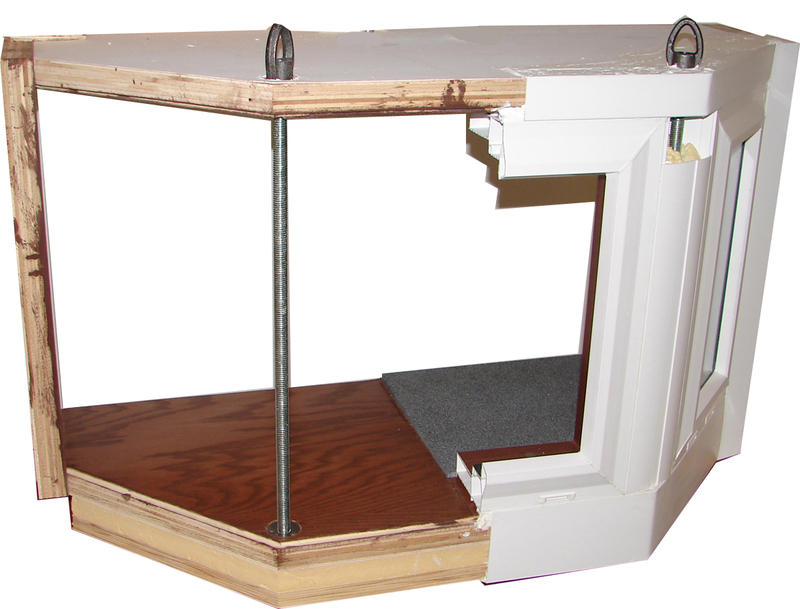 Adjustments to the support system would be made from the bottom of the window with the cabled mullion system.